﻿ JD745X Pump Control Valves | Remy Valve MFG. JD745X pump control valve is mounted on the water pumps outlet pipeline of the high buildings and other water supply systems to prevent of the mediums back-flow and the water hammer and water shock. 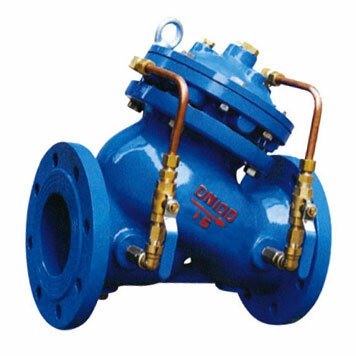 JD745X pump control valve has good effect of water hammer removal. Integrating the technical principles of water hammer removal by means of slow open, quick close and slow close, so as to prevent of the water hammers at both pump start and stop. Easy operation. 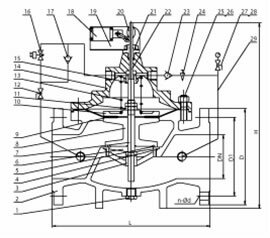 The valve will open or close automatically as per the operation procedures of the pump, once operates the On-Off button of the pumps motor. Good effect of energy saving. 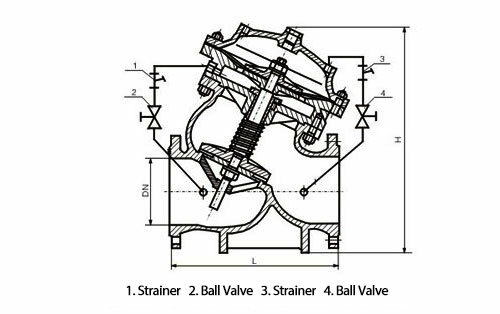 The valve body is designed as full-path straight-flow type, resulting in small pressure loss, big flow, small volume and light weight.